But before jumping head-first into exercising a “voice strategy” let’s take a brief look at the opportunity and what it means for brands looking to take advantage of this tactic when it comes to content marketing. For those who have not subscribed to the free online digital marketing conference, Digital Olympus, I would seriously recommend subscribing to it. The event brings together expert speakers from the world of digital marketing to present slide decks on specific subject areas, one of these was Voice Search presented by speaker Jono Alderson. Jono presented a fascinating glimpse into the origins of platforms and technology through to the dawn of voice-enabled devices and how this could be impacting brands, their future and what brands need to be considering to adjust their strategy to retain awareness and relevancy through voice-enabled devices. The search engine optimisation (SEO) mistakes to avoid and what to do instead. Google’s engineers have said there are at least 200 ‘ranking signals’ which affect whether you can rank above your competitors or not for searches which will bring you new business. To make SEO even more challenging, many of them change frequently in Google’s algorithm updates. So, it can be really tough knowing what matters in SEO and what doesn’t. 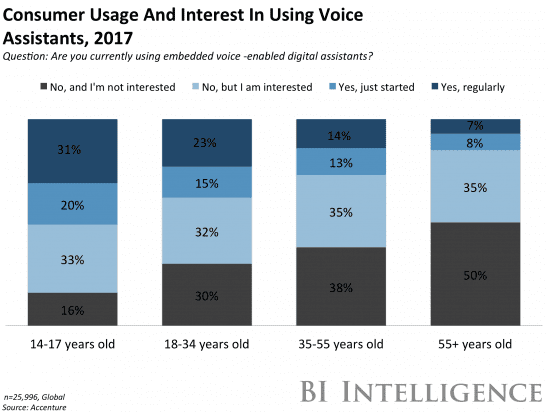 With voice, it’s suggested that consumers will no longer be part of the buying cycle. All advertising works on the assumption you can interrupt or purchase a user’s attention, So let’s take a scenario of a brand promoting their product or service through a desktop or mobile platform. If I want a new refrigerator I might be aware of four brands based on, the right price range, 5-star reviews, and a good reputation. If I am choosing between these brands I will have multiple browsers open on my desktop or mobile device where I will scroll through each brand’s product page to further assess which model fridge I want to decide on. The next stage of my decision-making process might be to then reduce my choices of brands based on further personal preferences as I move further down the purchase funnel.I may reduce the initial four brands as I include even more filtering based on my needs such as the delivery time, customer reviews, voucher code available or not? All the processes where the consumer looked at brands or was influenced by advertising, or optimized for search no longer happens… All the points where a brand used to earn attention no longer exist with voice search. How do you ensure your brand is positioned when your brand can no longer rely on the tactical elements it would usually deploy on a desktop? Implied preference – based on all the vendors, which one looks like a good fit based on your past preferences and behaviour? Past preference and behaviour is built from a collection of insights and data Google has on the user e.g. it will look at every piece of data on you from every connected device to build up a profile – which brands have you interacted with, where do you shop, who you’ve reviewed etc. Brands will need to consider how to positively influence this consideration set (availability, suitability, implied preference). In other words, as a brand, you need to be asking the question: How can my brand retain it’s relevancy through in voice search results to meet the broad criteria of the user? What’s important to understand is the changing environment for brands to interrupt the customer and their decision-making journey – it’s going to get a lot tougher. Traditional digital marketing provides a number of tools and tactics to do just that – deploy a re-targeting campaign, launch a paid search or affiliate marketing strategy or even optimize product and content pages to achieve page one rankings on a search engine. So what are the opportunities for brands? Brands will need to market proactively to consumers many months before they exhibit a specific need – the marketing might not directly convert but its job is to ensure it is building out “brand currency” that is considered an attribution to final conversion and visibility through voice. To expand on the logic of mass marketing and driving wider touch-points with more diverse audiences, this could see brands venture into new markets through product development or through content marketing – appealing to new audiences via related industries. 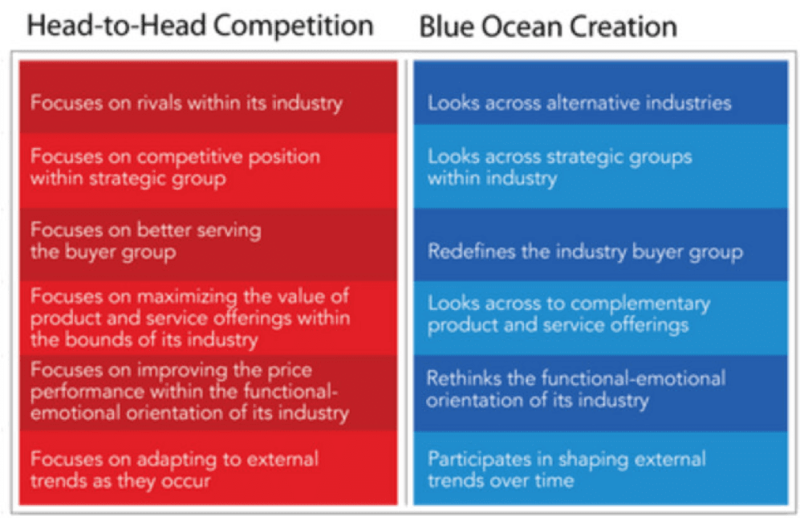 In the context of voice search – this similar strategy could be applied to organizations that are looking to shift their brands into new, uncontested marketplaces (where their competition does not exist) and look to create new products and services that will help fuel the opportunity of new audiences who can build “brand currency”. Analytics – Begin to plot out opportunities to explore new markets by data mining Google Analytics and Audience reports, specifically Interests and Affinity Categories and look to identify the types of categories that drive users to your desktop/mobile platforms – are there opportunities here to create new markets for your brand? 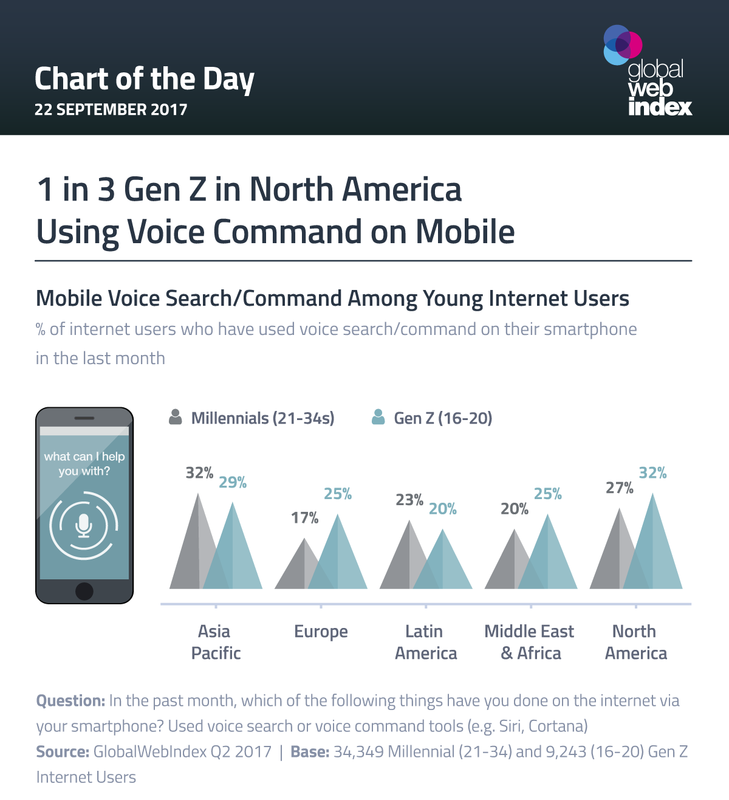 Now is the time for marketers and more importantly the wider organization they operate to better understand how and what voice search may mean and a good place to start is to better understand the position of the brand, as well as the opportunity voice search, may mean. A recent video by L2 suggests that to understand the role of voice, brands need to be clear on what their goal is e.g. is it to sell product? Is it to support smart & connected homes, content and category authority e.g. providing utility supporting and assisting your audience. If voice presents the decline in interrupting the consumer through a range of online/offline tactics, then brands will need to take an organisational view as to how this medium will be supporting and enhancing the brand and that means a move to understand and start with their audience, build a better understanding of their needs and wants and the role their brand plays in building a direct relationship. Thanks to Simon Swan for sharing their advice and opinion in this post.